When temperatures are inhospitable, new seeds need a safe, warm space to sprout, or plants need protection from wildlife or wind, a greenhouse can be a literal lifesaver! This project was funded on 23 Feb 2016! 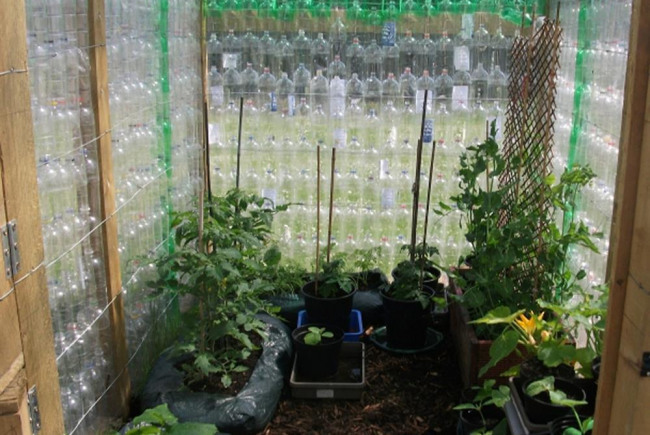 Did you know you can build your own greenhouse to fit your space, using inexpensive, or better yet, recycled materials? 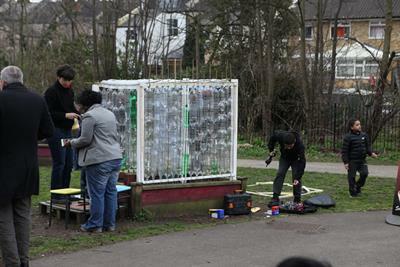 some willing helpers and hundreds of plastic bottles, there's a much cheaper alternative: the plastic bottle greenhouse. 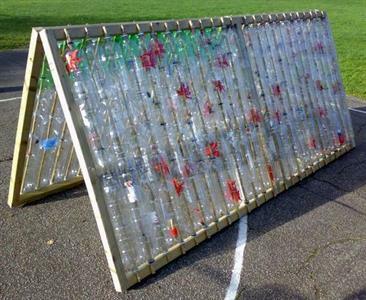 With lots of children to help gather the bottles and wash them, it's a great re-use educational structure that really works. 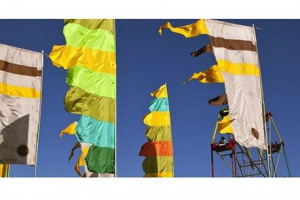 Any damage from wind or vandals can be easily repaired at little or no cost. We have 2 local Brownies that are interested in getting involved. At the moment we are collecting 2ltr. clean plastic bottles. It will be an opportunity for the community to get involve and engage in constructing a structure from recycled materials in order to grow organic plants. This activity will also engage various groups and families in our diverse and vibrant community. We will encourage all age groups. Currently we have 2 local Brownies aging from 7 till 11 yrs olds that are interested. Wash the bottles and remove the labels. Screw completed frames onto uprights. We've build up this one and it's so tempting to build another one... Thanks again to our supporters, we had an amazing day! Hello Everyone, Our bottles are piling up in the cafe for our big day. Keep on bringing! 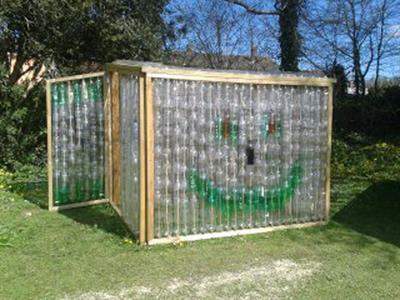 Many thanks for recycling your bottles with us :) very exciting! 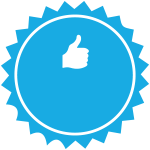 We are thrilled with all your kind support! Thank you so much! So exciting to see the interest and our local brownies are super excited! 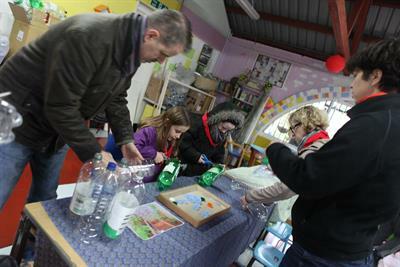 At the moment we are saving recycled plastic bottles at cafe and telling locals to bring theirs to us on 18th March! We will be posting photos and updates on our website after 19th of March! 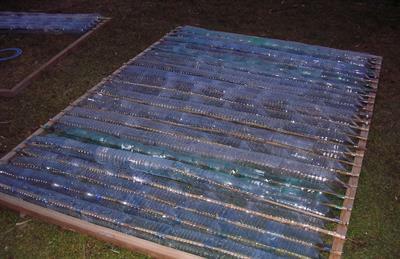 If we do not have enough bottles until then, we plan to create frame by frame as you see on the picture. Thanks to Growing a Greener Britain for their immense support to transform green spaces using the power of crowdfunding. Thank you for giving our ideas a chance to turn into reality, much appreciated! This ‘hidden gem’ in Lewisham, Manor Park is set up as an affordable place to unite people who live, work or visit the area. 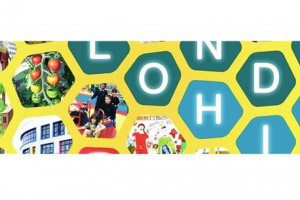 We believe that socially engaged community places can transform the economic, environmental, social, and cultural life of Lewisham. A key factor in all aspects of the ArtsCafe is community involvement and the aim is to engage and communicate with the community to meet their needs, wishes and expectations. This is reflected in the menu, service and events that the cafe offers. Project Delivery Manager: ArtsCafe & MPUG The Project Delivery Manager takes legal responsibility for receiving and spending the funds raised and ensuring the project is delivered. Contractor: ArtsCafe The team responsible for building or installing the project.